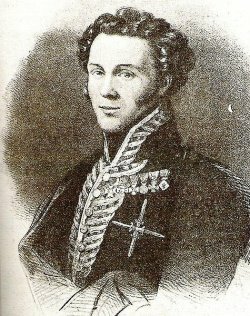 On this date in 1824, the Mexican officer who had made himself emperor was shot at the village of Padilla. Iturbide‘s military acumen saw him through a meteoric rise in the service of what was then New Spain. 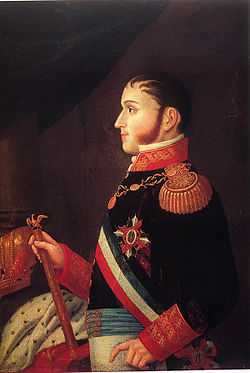 Iturbide rejected an early offer of generalship from the pro-independence leader Hidalgo in favor of spending the 1810s ably quashing the insurgency. In a bizarre twist of fate, however, it would be Iturbide who would himself cement Mexican independence. En route to try to finish off the last major rebel leader, Vicente Guerrero, Iturbide caught wind of the recent del Riego liberal revolt back in the mother country,* which had triggered civil war in Spain. For the conservative royalist general, heir himself to a Basque noble lineage, the potential collapse of Bourbon authority in Spain raised the frightening specter of social upheaval. 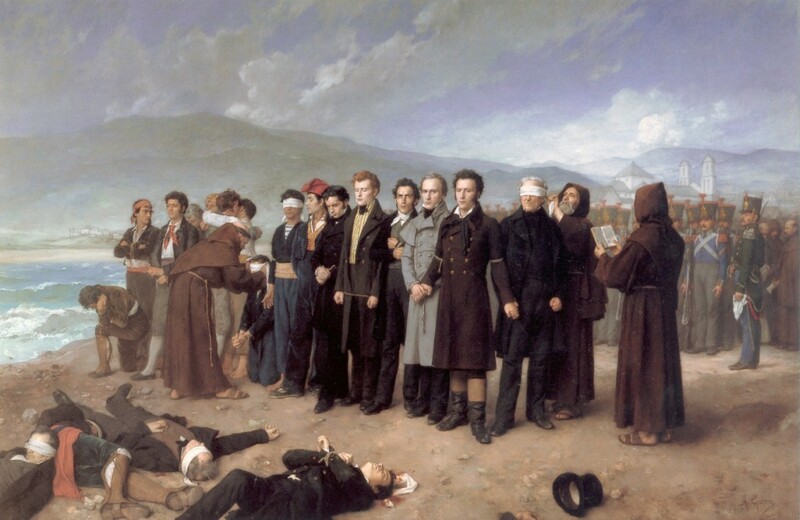 All Iturbide’s work killing guerrillas for the sake of public order could come to naught if the Spanish monarchy collapsed or ceased projecting its power overseas … and then who knew what would emerge from the resulting power vacuum in Mexico? So Iturbide cut a deal with Guerrero to consummate the Mexican War of Independence by separating from Madrid on an essentially conservative basis — a political breakaway without a social revolution. Independent Mexico would make nice with the Spaniards already living there, keep Catholicism as the official state religion, and get itself a constitutional monarchy of its own to insulate itself from the chance outcomes of continental politics across the ocean. And when Iturbide marched into Mexico City and encountered a crowd conveniently imploring him to take the throne, well, who was he to deny them? And so Iturbide transitioned smoothly from scourge of the revolution to its man on horseback,** immediately splintering the coalition that lifted him to power. 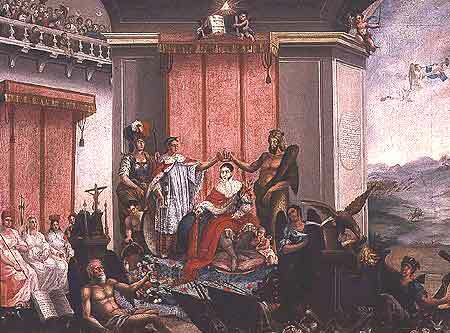 Contrary to this allegorical take on Iturbide’s coronation, he crowned himself — Bonaparte-like. 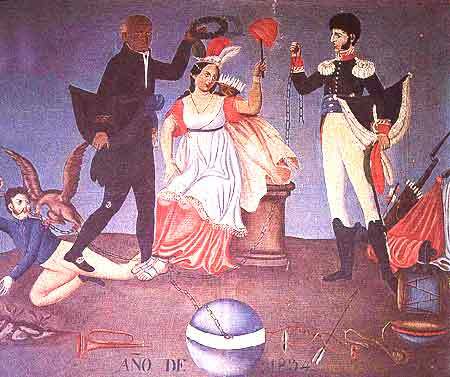 Only months after his July 1822 coronation, Iturbide shuttered Congress and began arresting the opposition. Meanwhile, Ferdinand VII had emerged from the Spanish fray as the (momentary) winner, leaving his upstart former subjects without international support. A general that the freshly-minted emperor had himself had promoted, one Antonio Lopez de Santa Anna — yes, the Alamo guy — declared against Iturbide by the end of 1822, and come the following spring, Agustin I was a European exile, in the paradoxical position of drawing a pension from Mexico while also officially considered a traitor and outlaw. In Tuscany and then England, Iturbide published an autobiographical justification — Statement of Some of the Principal Events in the Public Life of Agustín de Iturbide — then finally took up a much-asked-for invitation from Mexican conservatives to return and become the savior of his country against internal breakdown and a potential Spanish attack. 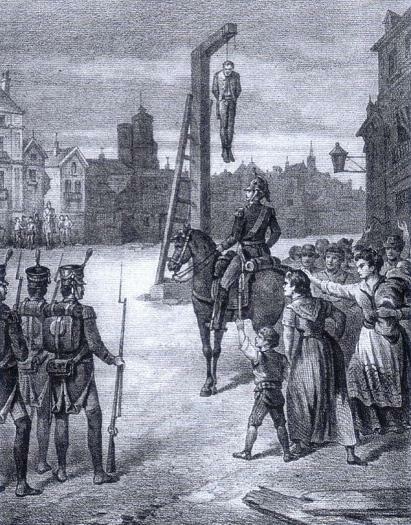 Founded on vainglory, this expedition was destined for fiasco; within five days of touching Mexican soil, Iturbide was serenading a firing squad with the last words, “Mexicans! I die with honor, not as a traitor; do not leave this stain on my children and my legacy. I am not a traitor, no.” Apparently they were serious about that injunction never to return. When in Mexico City, relive happier times for our day’s subject at the Palace of Iturbide where he briefly maintained himself in the purple. 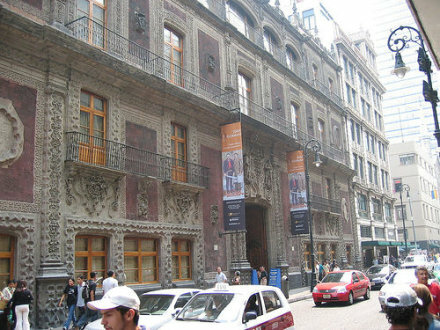 Iturbide’s palace. Creative Commons image from patricio00. And do think twice about styling yourself Emperor of Mexico, since the only other person to claim that title also ended his reign in front of a firing squad. 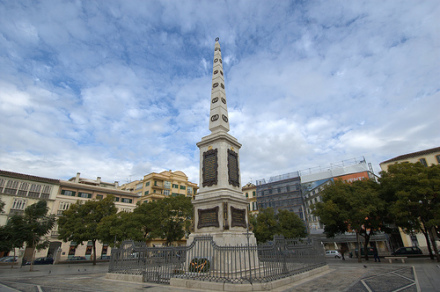 * Ironically, it was a body of soldiers assembled for a reconquista of Spain’s independence–minded New World possessions that enabled del Riego to mutiny. ** Iturbide paused in the revolution’s good graces just long enough to design the Mexican flag.